There is something special about Papa Murphy’s pizza. If you haven’t had it before, I’d really recommend adding the take and bake restaurant to your must-try restaurants list. In fact, I hadn’t even been there until about a year ago, and now I’m a die hard fan. And Papa Murphy’s Gourmet Vegetarian Pizza tops my list. While I haven’t tried every variety on the Papa Murphy pizza menu, I certainly have my favorites. The taco pizza I had a couple days ago was amazing, and we all know I can’t get enough of tacos. Whether it’s Walking Tacos or Vegetarian Taco Salad, or even Slow Cooker Creamy Chicken Tacos–I’m all about the taco. There are few things in life better than really good pizza. This healthy take on a classic is topped with delicious fresh veggies and a to-die-for creamy garlic sauce. You may never view pizza the same way after you taste the garlicky savory sauce balanced with the sweetness of tomatoes and artichokes. And if you’re not in the cooking mood, you can always check out Papa Murphy pizza locations near you. I’m lucky enough to have one right down the street. Yay me! Try our homemade pizza dough for something different. I’m also all about making homemade pizza. 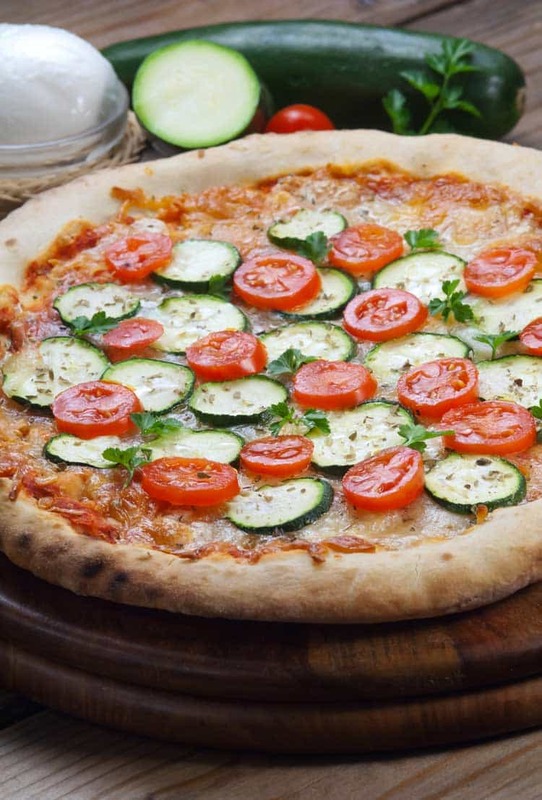 And while this pizza recipe could easily be made with my Homemade Pizza Dough, sometimes a ready-made pizza crust is exactly what is called for, like it is in the recipe for our Copycat Papa Murphy’s Vegetarian Pizza. 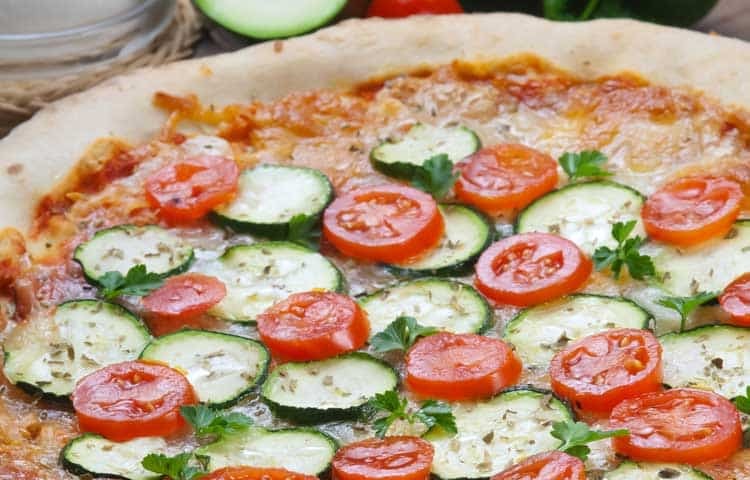 Papa Murphy's Gourmet Vegetarian Pizza is a fantastic culinary experience that now you can copycat right at home with our copycat pizza recipe. Preheat oven, according to pizza crust instructions. In a small bowl, combine the ranch dressing, minced garlic, 1 tbsp Parmesan, oregano and basil. Spread on pizza crust as this is your pizza sauce. Add the toppings as you’d like, including plenty of mozzarella and Parmesan. Bake 12-14 minutes, or as noted on the pizza crust instructions. This pizza look delicious! Thanks for linking up with What’s Cookin’ Wednesday! Your pizza looks really fresh and tasty! I love a good vegetarian pizza. Pinning. Thank you for sharing with us at the Hearth and Soul Hop.